…evangelical teachers of every persuasion, including this writer, need to repent for their brash attempts to find God, who veils himself in Scripture from the proud, through merely scientific exegesis which they control. This is an the final part in my review of Continuity and Discontinuity, edited by John S. Feinberg. Read the previous posts here. This is an ongoing review of Continuity and Discontinuity, edited by John S. Feinberg. Read the previous posts: Introduction, Systems, Hermeneutics, Salvation, and the Law. 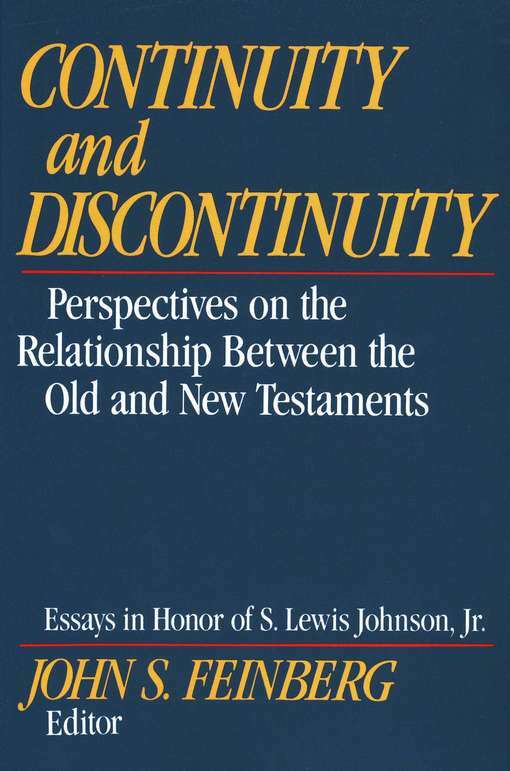 This is an ongoing review of Continuity and Discontinuity, edited by John S. Feinberg. Read the previous posts: Introduction, Systems, Hermeneutics, and Salvation. This is an ongoing review of Continuity and Discontinuity, edited by John S. Feinberg. Read the previous posts: Introduction, Systems, or Hermeneutics. This is part three of an ongoing review of Continuity and Discontinuity edited by John S. Feinberg and published by Crossway. Read part one or part two.